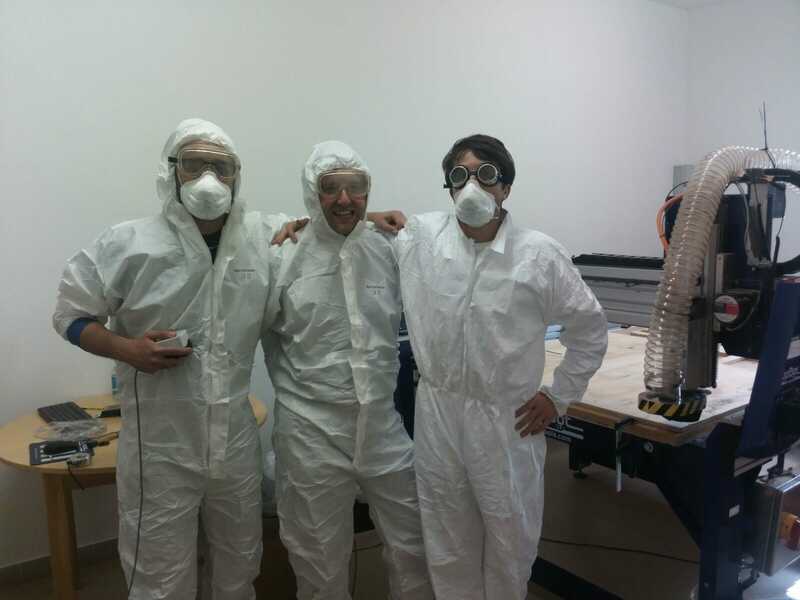 This is a group project made by Luca Giacolini, Luca Rabazzi and Flavio Lampus, who are indeed the three serious workers you see below. 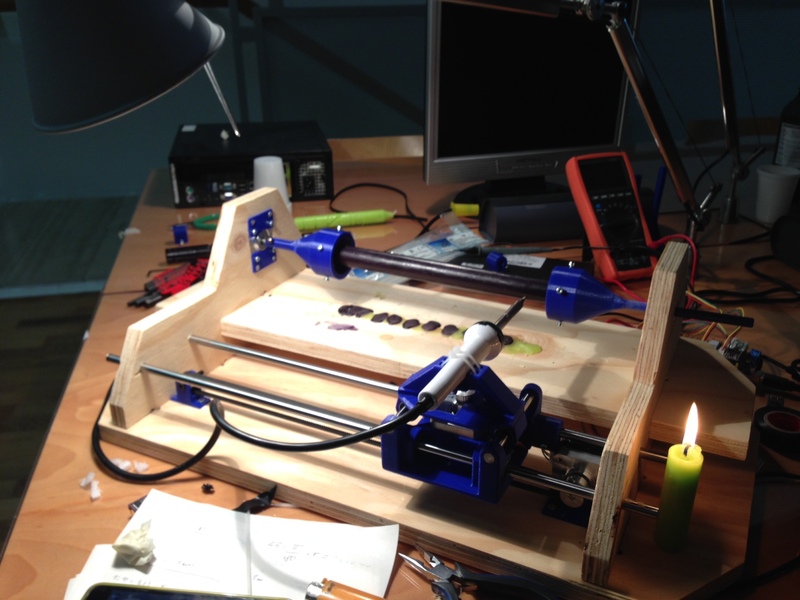 3.The Eggbot as a more artistic perspective on CNC machines. 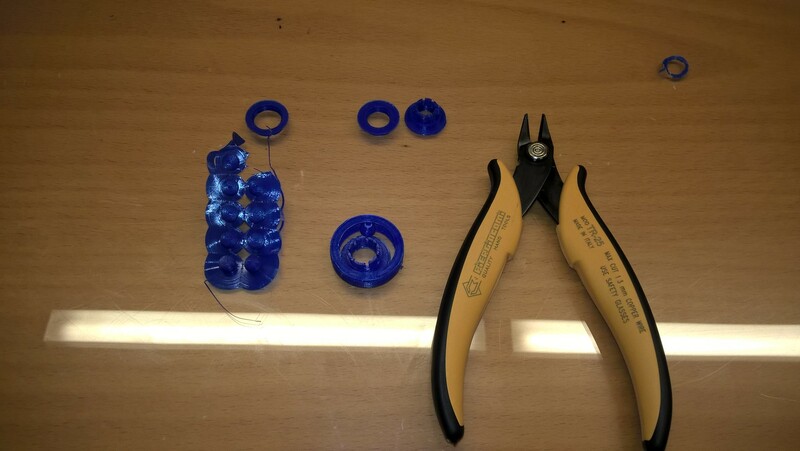 After some deep thinking, we discovered it would have been pretty hard since the material we wanted to work with was too hard to machine. For this reason we decided to work with something lighter. We thought to work with something organic, like fruits or vegetables, and to build a lathe able to peel them or to sculpt them. We really liked the last one, so we focused on it. In the end we decided to do a machine that decorates candles. We wanted to use a soldering iron to decorate the candles, so it was linked to our X and Z axis, then we had a rotative axis, where to put the candle. 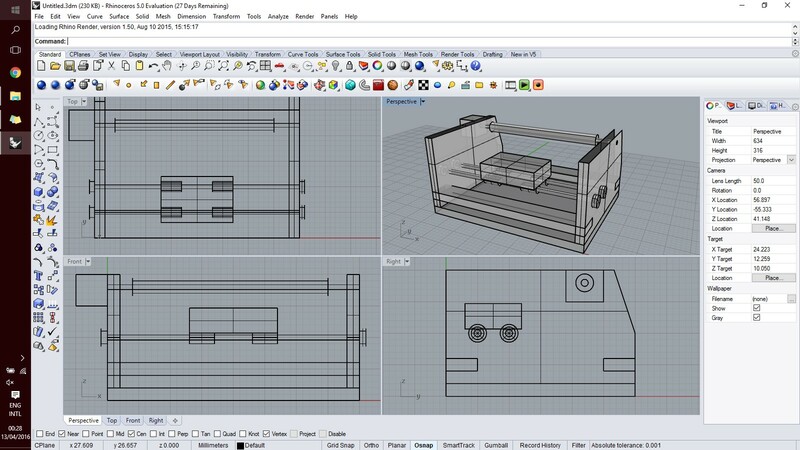 First thing that we did was to build a rough 3D model in Rhino, as shown in the picture below. 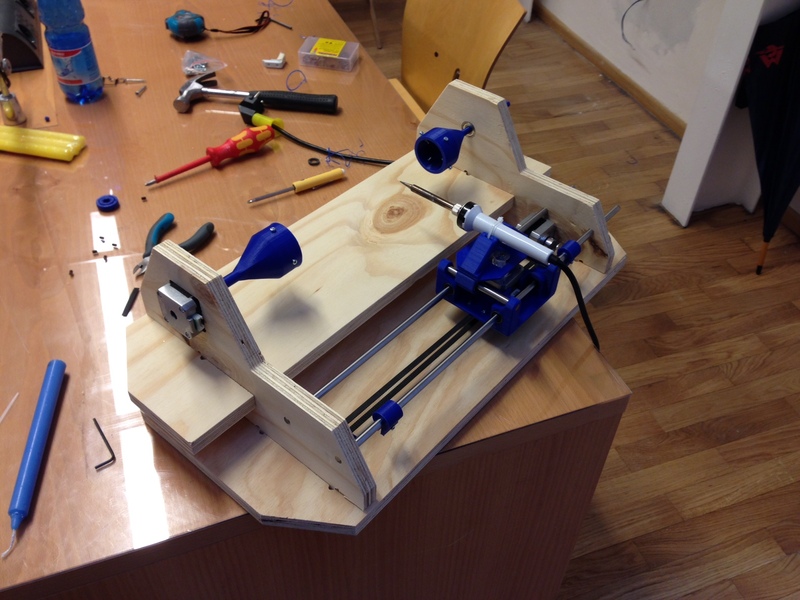 Starting from there, we quickly prototyped a physical model with the ShopBot in order to get a feeling for the size and the structural strenght of the model. Next to that, we also had quick explorations with some components, such as ball bearings and pulleys, that we later abandoned. 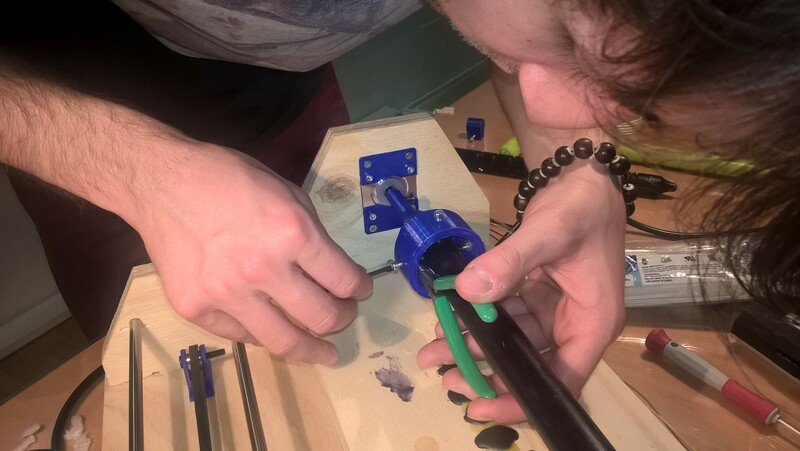 +Next to that, we also had quick explorations with some components, such as ball bearings and pulleys, that we later abandoned. The circular bearings below were designed in Antimony. 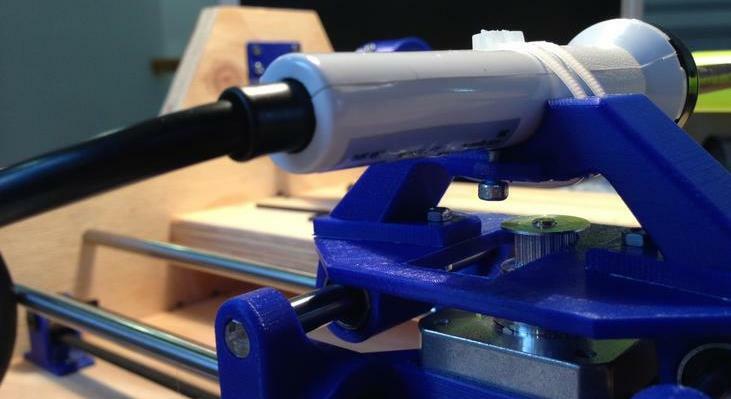 The linear bearings are instead downloaded from Thingiverse. 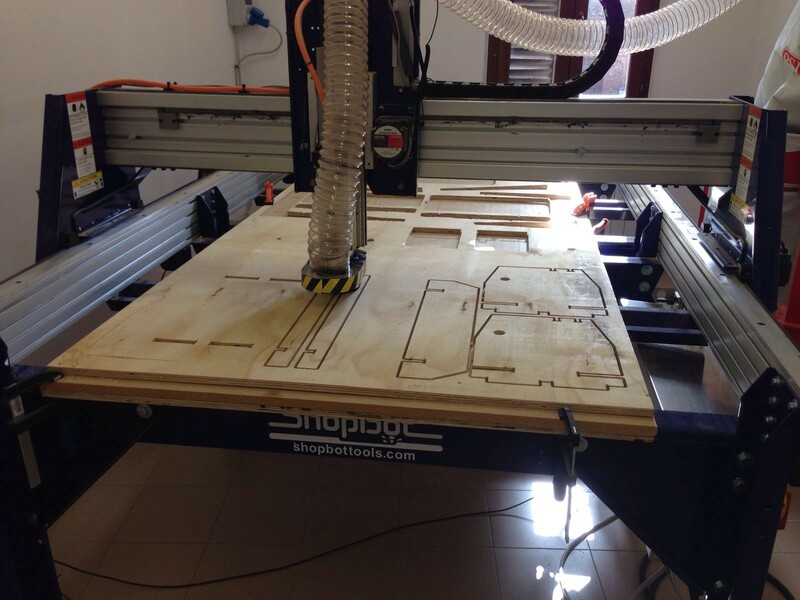 We manufactured the wooden structure milling a 18mm OSB wood with the Shopbot. 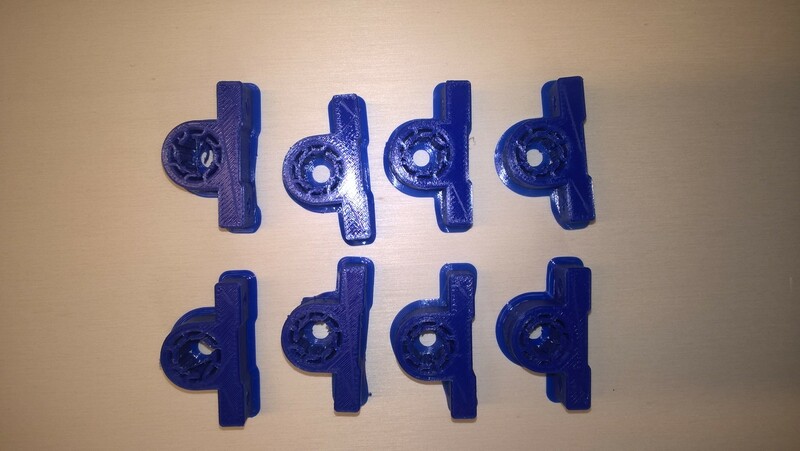 We printed the mechanical parts using the Ultimaker 2 with PLA filament. Some process pictures below. And below is the final result, of which we are really satisfied with! It is pretty stable, especially thank to the thick wooden structure. Below two details that should be reconsidered in the future. On the left, the iron attachment to the machine, that is not too tight when the drill bit enters more than 2mm into the candle. On the right, the candle attachment to the structure, that is totally cumbersome and does not really help in centering the candle on the rotation axis. Once the mechanical part was done, we had to make it works. We used 3 Nema 17 stepper motors: one for the X axis, one for the Y axis and the last one for our rotative axis, we will call it Z, also if it's not a proper Z. 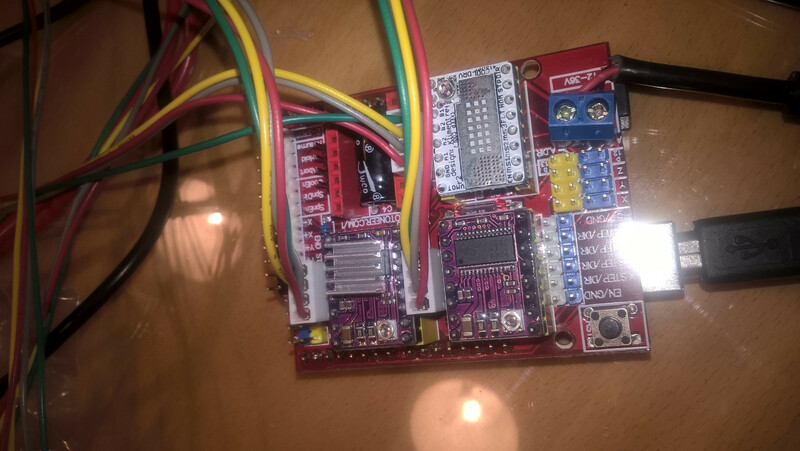 Since we used 3 stepper motors, we needed 3 drivers for motors, we mounted them on our CnCshield. We were not supposed to use an Arduino, we had to use a Satcha Kit, but we had some trouble using it. So, for now we used a Arduino Duemilanove, then we will switch to the Satcha Kit. In this photo you can see our board, it had all the drivers connected. Then we connected the board to a computer and the cables to our stepper motors, we were ready to program it. In order to program the G00 X6000 he had to flash grbl on our board, write or generate a G-Code with the coordinates to decorate our candles and choose and use a G-Code sender to send the G-code to our machine. First we studied the G-code, how it works and how to use it. 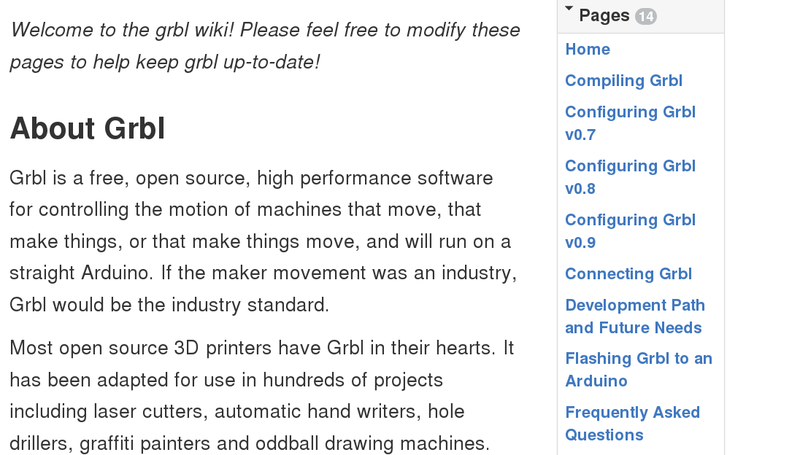 The G-Code page of RepRap had the more detailed informations about it. Not only he described the function of every commands, but it also told us if that particular command was supported or not by grbl. Once we got into it, we started to generate some random G-Code files with the FabMoudles and we tried to read it, it has been a good way to learn how to use it. Grbl GitHub's page is awesome. There's truly helpful and clear wiki, that explained us step by step what to do and how to move through the installation and the use of it. There were two ways two flash grbl on our board (since we did not use Windows): we could use Arduino IDE, or we could flash the .hex file with bash. 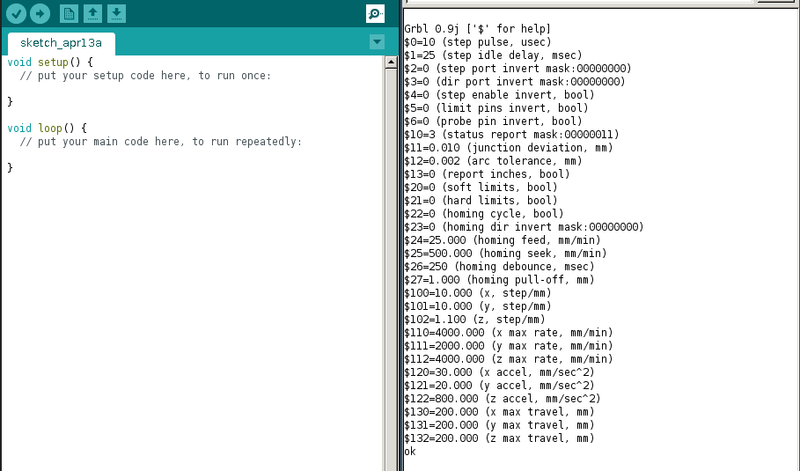 We decided to use Arduino, so we uploaded grbl library on it, we loaded the grbl sketch and eventually on our board. 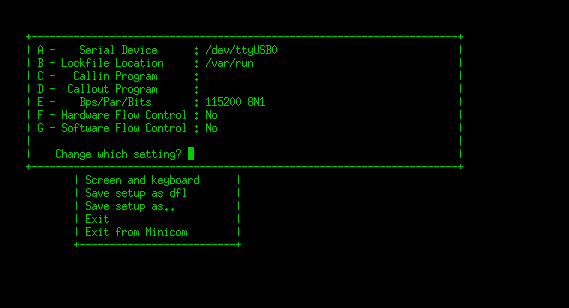 Minicom is pretty simple, first we typed on bash: sudo minicom -s in order to configure the baudrate and the port. As we did in the past weeks, we've found the right port typing dmesg | grep tty Then we started minicom, and it worked, but for some reason we could not read what we were writing. When we wrote some right command it replied ok so it was working, but since we were not able to read what we were writing, we decided to gave up on it. 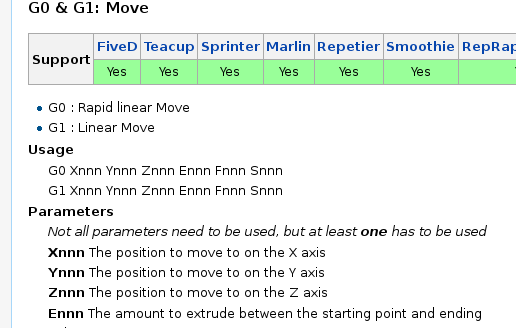 The most important settings here are: $100 $101 $102 Here we set step/mm rate for X, Y and Z. $110 $110 $111 Here we set the maximum rate for each axis. $120 $121 $122 Here we set the accelleration for each axis. We did a lot of test, since we've found the best settings for each axis, we wrote the G-Code for the decoration we wanted to do, and eventually we used a python interface as Gcode-sender. Below you can see the best results we achieved so far. Circular patterns work better as most of the wax actually drops to the ground. Below is instead the picture of a diagonal patter. 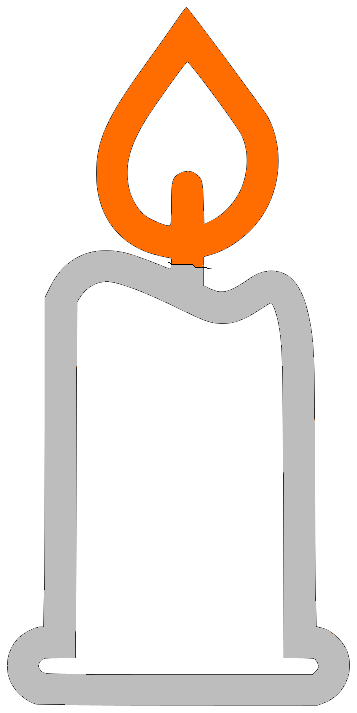 When the soldering iron moves sideways, we can not prevent the wax from actually dripping over the candle itself. We might be able to fix it if we increase the speed of rotation, but then the soldering iron tip might get stuck. Below is the picture of an horizontal + circular pattern. 1.the candle attachment mechanism, that is now cumbersome. 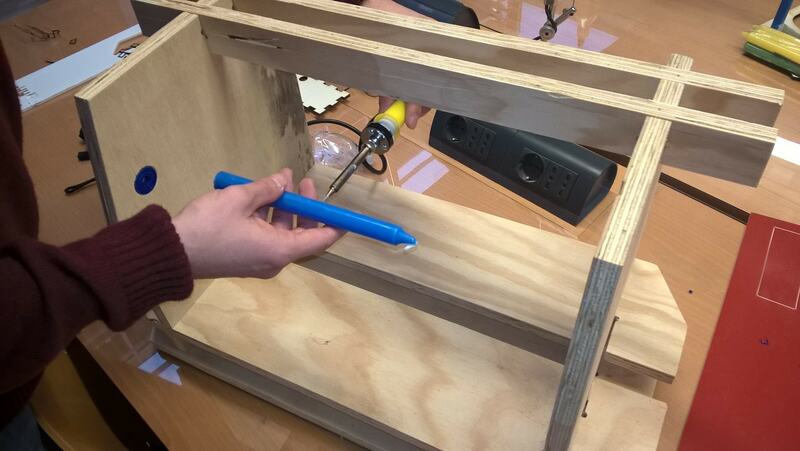 Maybe it should have been similar to the one used in power hand screwdrivers to hold the drill bit. This is a good example. 2.the toothed part on the kart should be made out of metal, because with PLA it might wear off quite soon.